MARS Triple band & Dual Polarized Antenna covers all the bands for LTE, 3G, 2.5G and 2G cellular, as well as ISM, WLAN, Bluetooth, GSM 900, GSM 1900 and Wi-Fi. 2 RF Connectors for 698-2700 MHz (Vertical and Horizontal) and 2 RF Connectors for 5100-5900 MHz (Vertical and Horizontal). 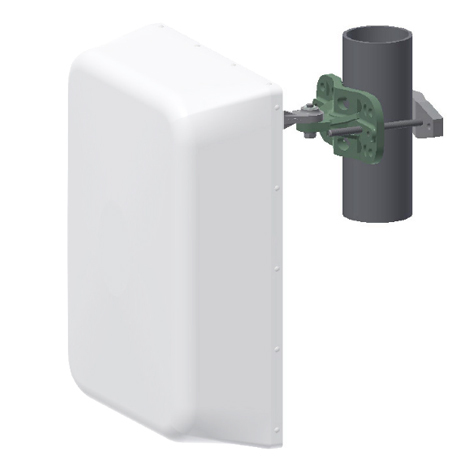 The antenna is easy-installed and is highly recommended as an outstanding logistic solution for Outdoor installations as well as In-Building Installations. The models listed below are available in the iBwave Database. Port to Port Isolation, min. Aluminum protected through chemical passivation.